At Buchanan Order Management, we understand that a new parking scheme design can be very resource intensive. 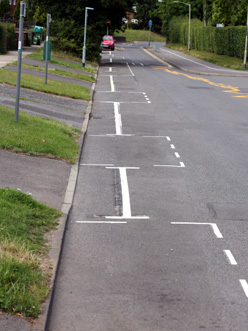 There is a need to check the location on the street in order to determine the actual road layout, existing restrictions, and the location of features such as dropped kerbs. We can help you by undertaking the on-street surveying required. Once the information has been gathered we can formulate a proposal for changes, supported with plans and a draft amendment order for consultation. A complex scheme, such as a Controlled Parking Zone (CPZ) may require several iterations before the right solution can go forward. We can provide a depth of knowledge and experience from working on different forms of parking controls with authorities across the UK. If you think that you could benefit from our help with your new parking scheme objectives or implementation, please do not hesitate to contact us.